HELM Works Series 130 is here, and it’s time to party. HELM WS130 is a 29″ air fork optimized for cross-country mountain biking. 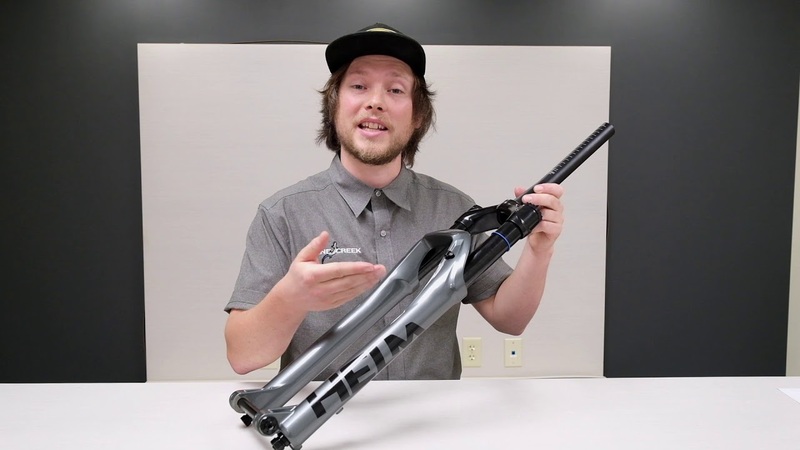 The fork has a maximum of 130mm of travel, although decreasing it’s travel is an option, and it features a bolt-on axle, Climb Switch (high speed compression damping), 44mm offset, high gloss anodized, hollow-pocket crown, and a weight 100grams lighter than a 130mm HELM 29. Five Cane Creek employees have been testing and riding HELM WS130 over the last several months and have really put the fork through the ringer on the trails in and around Pisgah National Forest. We’re confident we’re bringing you your next upgrade for your XC or XXC shred sled. HELM WS130 Review: I’m most excited about HELM WS130 from a XC perspective. I’ve enjoyed the extra confidence and capability the added travel and chassis stiffness provide over my XC fork, and the Climb Switch provides a stable platform for the long gravel climbs we have around here. HELM WS130 transforms a bike like mine into what I feel is the ideal choice for races like ORAMM or Pisgah Stage Race, or for just moving quickly through the mountains. 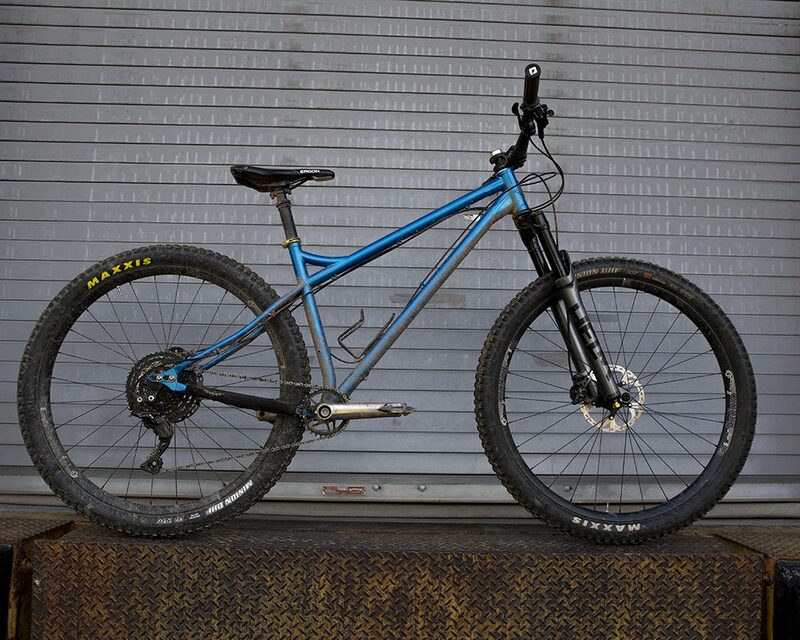 Notable Specs: Steel frame, steel spokes – steel is real. Stealth, unmarked ti cranks. Maxxis DHF 2.3 tires front and rear. HELM WS130 Review: Great pedaling platform, I really like the reduced offset. [HELM WS130] makes cornering really fun and initiates the weight transfer/lean better than a standard HELM. Damper feels supple off the top and supportive mid stroke. Super nimble. SO nimble. HELM WS130 Review: The [HELM WS130] has an awesomely stiff chassis that translates into super sharp steering and a feeling of confidence even when I get into some super sketchy situations. The air spring erases small bump/chatter from the trail, and handles bigger drops and boosts like it’s big brother. The fork upgrade encourages me to go for the “optional” lines, even on my hardtail. The HELM WS130 is great for anyone who wants to push their XC/DC bike faster and through gnarlier terrain without slowing down. It’s adjustable enough that it’s equally at home on groomed flow trails, getting g’d out on berms and launching over tabletops, or pushing through the rooty-est, rockiest back-country trails I can find. I also don’t mind the fact that I was able to color match it to my bike, because looks matter too, right? HELM WS130 Review: The HELM WS130 feels just like my standard 150mm Helm (which is a great thing!) but lighter. Confidence-inspiring stiffness, excellent bottom-out control, solid mid-stroke support and plush off the top. Lock-out (Climb Switch) feature is great for long gravel road climbs. I love the new bolt-on D-Loc thru-axle. Notable Specs: This bike has been ridden with a previous test HELM, then rigid for around eight months. Wheels are DT Swiss 240s + Stan’s Notubes ArchEX (I traded Peter Gilbert a bottle of gin for the rear wheel), Maxxis Ikon rear, Ardent front tires. Old Specialized (~2016) Command Post IR – it’s only needed service once! Drivetrain currently consists of eeWings 175mm cranks, 32t SRAM Direct Mount ring, Wolftooth Components 22t singlespeed cog (it’s blue). I alternate between 32x17t for summer XC racing, 32x20t for early season XC racing and riding in Bent Creek and DuPont (I need the 22t for Pisgah and, well, winter when I’m way outta shape). As for bike weight, it’s at least 30lbs or so… I haven’t weighed it. Riding Style: XC/Trail. I race XC/Endurance mountain bikes. I also race gravel and CX. And I ride road bikes too. My MTB style is shaved legs + baggies + lycra jersey + sometimes roadie helmet. Sometimes t-shirts + MTB shredder helmet. Maybe call it Pisgah XC? HELM WS130 Setup: I’m at 120mm with the air Volume adjuster all the way down currently, although I was also happy at 5-6 clicks down. 90 psi equalized, but I’m about to try less sag at 95psi. Rebound wide open. HELM WS130 Review: For my riding (more about miles and elevation gain and ride hours, less about air time, etc) – the fork lets me use full travel, but still feels poppy. I’ve been running LSC wide open and positive and negative air chambers equal and going through more corners with no brakes and pedaling into the corners. I’ve lost the front end only twice due to surprise roots/rocks. The Climb Switch is more firm and usable for trail and gravel road climbing. It may still disappoint some riders on paved or super smooth gravel climbing, but feels like it’s intended to be used for trail riding. The bolt on axle is nice too.